Sometime last year, Nigerians were greeted with the shocking news about Ese Oruru; an intriguing tale of abduction, child marriage and islamization. The media hype probably led to her release. Hardly had the news died down than we learnt of a similar case in Benue, and then others. These exclude the so many told and untold stories of paedophilia often perpetrated by close family members and friends. Not many of us have forgotten the Sugarbelly saga. I am not sure the girl child has ever been as threatened as she is today. While little girls can do little or nothing to protect themselves from predators, parents; mothers especially, can do so much to ensure their girls do not get their childhood stolen from them. We cannot always be around them, but what we teach them can protect them even in our absence. Teach your girl child the different parts of her body and which parts are very private; parts which no one, not even you the mother is allowed to touch. Paedophiles are often family members or close associates who often intimidate the child into letting them 'explore' their body parts. Let your girl child know no one has the right to touch her inappropriately. Teach her to confide in you. Let her know she can trust you. Let her know she won't be punished for telling. 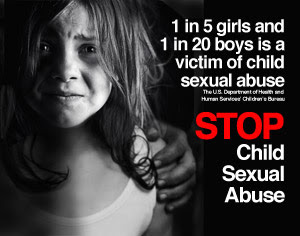 Sexually abused children usually express the fear of who to talk to. Mothers need to build close relationships with their daughters and make themselves approachable. Mothers need to make their daughters know they would always be on their side when they need them. Your child should be able to tell you whenever someone is making inappropriate advances at her. And when your girl child talks to you, please listen. 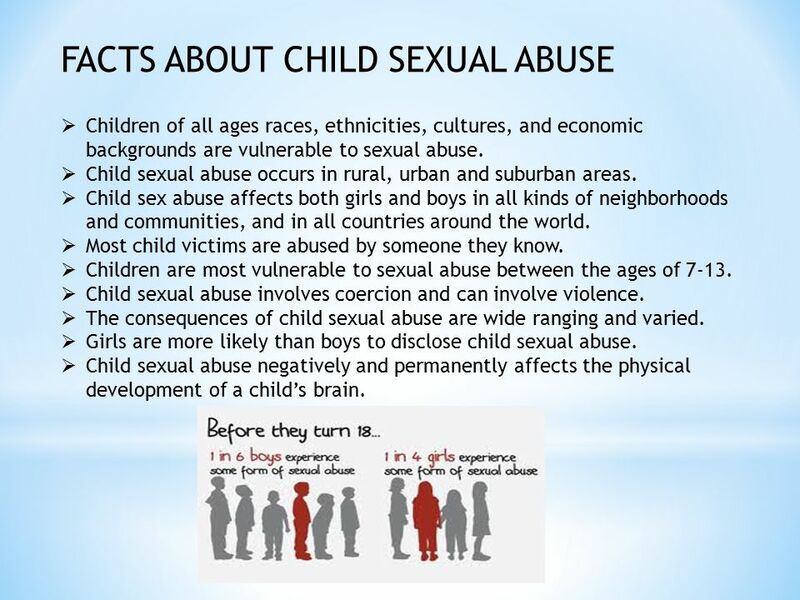 Whenever you notice your child's discomfort around any person (child or adult alike because a child can abuse another), do not take it at face value, put your investigating abilities to work and find out exactly why. Also, do not let an adult get away with an off-colour remark about or around your child. Whenever you notice your child with extras; extra sweets, extra clothes, extra cash and in fact anything beyond what you gave, find out the source and the reason behind the gift. Know the terms you use for different parts of the body. It is okay to use buzzwords to name the private parts, but take note whenever your child adopts another name for her privates and get her to tell you where she picked it up from. Believe your child whenever she reports abuse. Most times (statistics put it at 90-95%) it is the truth and you need to swing into action immediately no matter who is involved. When your child reports an abuse or molestation, the first thing to do is take the child to a paediatrician for further investigation. Every other action should come after that. Most importantly, ensure the molester is punished and kept away from the child. If a relation, severe all ties, if a neighbour, there may be need to move out of the neighbourhood even if temporarily. It gives your child some sort of closure knowing that her parents fought for her and that the 'bad' person was punished. It may not bring the stolen innocence back, but it would help ensure your child doesn't become dysfunctional as a result of that experience. Never blame a child who has been abused/molested. Children are by nature so trusting and should never be held responsible for the action of the molester especially if the molester is an adult. In fact, an abused child needs to be reassured of her parents' love and affection. 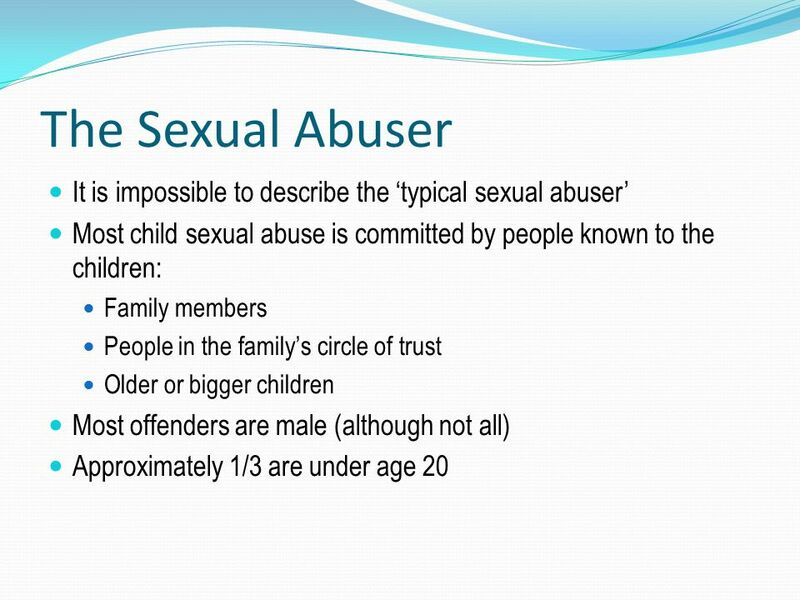 Child molesters are known to display certain antics like threats, showering the child with goodies and so on. They often threaten the child with death or terrible things if they attempt telling anyone. Let your child know about such antics and teach her not to fear subtle threats. No matter how bad situations at home become, do not let it affect your child, at least try cushioning the effects. It is easier to molest a child whose parents are always busy, usually fighting, divorced or separated. Anything out of the norm increases your child's risk and so should increase your closeness and access to your child. Monitor your children. In as much as your child will not love being monitored, you need to do so, especially when they venture into their teens. Know who they associate with. There may be need to periodically invade their privacy. Read their SMS, chats, emails once in a while. They cannot always be trusted with doing the right things. And when a molester claims your child enjoyed it or initiated it, please ensure the person rots in jail. Parents should note that male children get molested too. While we protect our daughters, our sons should not be left out as the above can also apply to them. May God help us as we do the much we can in protecting the precious gifts given to us. Good one. Keep pushing, you are on the path to something great.